Detroit Baptist Theological Seminary » Is Jesus Presently Reigning? In a handful of places the NT interprets Jesus’ resurrection (+ ascension) as his exaltation to God’s right hand, which is to say, as his fulfillment of David’s prophecy about the coming messiah in Ps 110:1: “Sit at my right hand until I make your enemies a footstool for your feet.” See, for example, Heb 1:13; 8:1 and 10:12–13. Despite all this, some still insist that it isn’t appropriate to say that Jesus is presently reigning as the davidic messiah, the davidic king (see, e.g., here). One problem with this reading is that it seems to contradict what Paul says about Jesus in 1 Cor 15:25. There Paul says that Jesus “must reign until he has put all his enemies under his feet.” The bit about the “enemies” recalls the end of Ps 110:1 and therefore suggests that Paul thinks that what Jesus is doing now at God’s right hand—the first part of Ps 110:1—can be summarized with the word “reign.” In short, if the NT says that Jesus’ exaltation fulfills the promise of Ps 110:1, then, according to Paul, we must say that Jesus, the davidic messiah, is presently reigning. That’s the short version of the argument. Here, however, let me add one more note. Some may still wonder whether Paul’s language about “reign[ing] until he has put all his enemies under his feet” is indeed a reference to Ps 110:1, since Paul doesn’t indicate he’s citing Scripture and, as well, since Paul uses slightly different language than what we find in Ps 110:1. In this case, what Paul says here wouldn’t require us to say Jesus is reigning now, since the author could simply be describing something in the future, something different than what David prophesied in Ps 110:1 and, therefore, different from what the NT authors say was fulfilled at Jesus’ exaltation. That sort of reading is possible, but unlikely. Just because Paul doesn’t use an introductory formula (e.g., “as it’s been written”) doesn’t mean he isn’t intentionally recalling Ps 110. He sometimes simply cites an OT text (e.g., Gal 3:6), often verbatim but not always. We call these latter instances allusions. What suggests that Paul alludes to Ps 110:1 here is that he uses language that is identical to Ps 110:1 and, moreover, language that is found only in Ps 110:1. That is, not only does he use language found in Ps 110:1 (“place,” “enemies,” “feet”) but this language is found together nowhere else in the entire Greek OT. What’s more, the parts of Paul’s presumed allusion that use different language don’t point away from the presence of Ps 110 but rather to the influence of Paul’s present context. That is, Paul’s changed the direct discourse of Ps 110:1 (“I will make your enemies a footstool for your feet”) into indirect discourse (“he will place his enemies under his feet”) to seamlessly incorporate the text into v. 25, and, as well, he’s substituted “footstool for…feet” for “under…feet” and added “all” before “enemies” probably because of the influence of Ps 8, which Paul recalls in 1 Cor 15:27. In fact, it is his certain allusion to Ps 8:6 in v. 27 that suggests, even more strongly, that Paul’s language in v. 25 intends to recall Ps 110, since everywhere that Ps 8:6 is discussed in the NT it is combined with Ps 110:1 (see, esp., Eph 1:20, 22 and Heb 1:13; 2:7). Thanks for your post. It certainly caught my eye. I wonder, though, about the propriety of using Paul’s discussion of Christ’s eschatological rule as evidence for his contemporary reign as Davidic king. In 1 Corinthians 15:24–28, the terminus a quo for Christ’s reign is not clearly specified (though Campbell and Townsend make a good case for a contextual starting point of the resurrection of those who are his at his [premillennial] coming—The Coming Millennial Reign, 230, so also and esp. Wallis, whom they cite), but the terminus ad quem is cleanly identified as his conquest of the last enemy (death) and the delivery of his Messianic Kingdom into the hands of his Father which, in any premillennial reckoning, occurs after Christ’s millennial reign. I’ll concede that Campbell & Townsend are less than perfectly convincing, so I’ll allow the terminus a quo for Christ’s Messianic reign to be open—at least so far as 1 Corinthians 15 is concerned. Still, there is nothing in 1 Corinthians 15 to specify, either, that Christ is necessarily reigning today in his Messianic function either. That point does not seem to be under consideration at all. Further, I wonder if the citation of Psalm 8:8 in 1 Corinthians 15:27 has any weight in this discussion. Paul seems to be making room here for two distinct levels of jurisdiction: (1) “all things” as part of a general, universal kingship, and (2) the progressive subjugation of all things without exception (even death) during his Messianic reign. Let’s just say you haven’t yet convinced this particular dispensationalist. The whole interaction between Compton and Snoeberger (and others) is most helpful. Thank you, all. I don’t want to be a pinhead, but as a matter of slight technicality, Edmond Hiebert is the one who argues for premillennialism from 1 Cor 15 in A Case for Premillennialism/The Coming Millennial Kingdom. Campbell and Hiebert serve as editors of this volume, which was published under two different titles by Moody and Kregel respectively. I does seem to me that this statement from my post addresses your concerns–and, moreover, explains why I spend so much time talking about Ps 110 in paragraphs 2 and 3: “In short, if the NT says that Jesus’ exaltation fulfills the promise of Ps 110:1, then, according to Paul, we must say that Jesus, the davidic messiah, is presently reigning.” In other words, the terminus a quo = when Jesus sat down at God’s right hand, which, acc. to the NT, began at Jesus resurrection/exaltation. On the one hand, Christ is to sit at the Father’s right hand until his enemies are made a footstool for His feet. On the other, He is to reign until His enemies are under His feet. So is His reign over when He leaves the Father’s right hand at the second coming? OK, I see your point now. Still, I’m not sure your point is explicitly made. Psalm 110:1 does indicate that there is a kind of reigning in effect presently–a Psalm 8:8 kind of reigning (so 1 Cor 15:17) that sees Christ restored at his ascension (Acts 2:34) to his vice-regency with the Father over the whole created realm in a general sense. But the reigning that commences in Psalm 110:2 and which is detailed in 1 Cor 15:23-26 is more specific than this general reign, and I would say other than this general reign–it is a sudden, decisive and (to the point, earthy reign centered in Zion and in the midst of Christ’s enemies–a point capably argued by Campbell, Wallis, and even by Saucy (whom you cited earlier). At a very minimum we have two stages in the rule of Christ, first passive/heavenly and realized, then second, active/earthly and unrealized. I would personally go further than this to suggest that these are not to be thought of as two stages of a single reign, but two separate reigns entirely. True, both reigns of Christ are governed in principle by the promise of Psalm 110:1 (hence the analogical allusion), but I see no contextual demand to conflate these two reigns in any necessary sense. The discontinuities are too stark. I was just reading Saucy’s answer to this very point–viz., that the respective places of rule (“the Father’s right hand” vs. “Zion” and in the “midst of his enemies”) are to be thought of as “symbolic” and “metaphorical” rather than spatial (71), but this seems to me to demand a rather libertine hermeneutic. I think your point is well made. I like your writing style. Your argument is a good one. I appreciate the way you explained the 1 Corinthians 15 passage. For those who resist some type of inaugurated eschatology could it be a case of throwing the baby out with the bath water? To say that the Davidic reign of Christ has two phases in no way excludes the earthly reign of Christ on the throne of David during the Millennium. (1) We can say Jesus is reigning now acc. to Ps 110:1. (2) This reigning, however, is different than the reigning described in Ps 110:2 and, thus, from what Paul describes in 1 Cor 15:23-26. (3) Paul, however, alludes to this second type of reigning in 1 Cor 15:23-26, not by citing Ps 110:2 but, rather, by citing Ps 110:1. I suspect it’s no surprise that I see problems with your approach. Nevertheless–and I really mean this– it’s helpful for me to see examples of alternate explanations. (4) Since Paul appeals to Ps 110:1 in demonstration of 1 Cor 15:23-26, then the present reign of Christ and the millennial reign of Christ share identity. Am I completing the logical progression fairly, or would you state it otherwise? I don’t agree with #s 2 and 3, but, yes, I’d say Jesus’ present rule is of a piece with the consummation of his rule. That help? Thank you for the article. I found it helpful and I appreciate the back and forth with Mark. I do have problems with Mark’s “kind of reigning” “general reign” “two stages” and “passive/heavenly,” but think I understand it when viewed through a dispensational lens. Yet it seems awkward and forced. Good to see you guys working through this. How do verses like Matthew 25:31 and Revelation 3:21 fit into this discussion? Good questions, Paul. Instead of burying the answers here, I’d prefer to reflect on these in future posts. If you don’t see them in relatively short order (sometime this year! ), send me a reminder. In preview, I think the former talks about the consummation of Jesus’ reign–when he comprehensively judges the world–and I think the latter anticipates others sharing in God’s rule, just as Jesus did after his victory on the cross. If you’ve got something helpful to add, please do. Jared, I see a couple of difficulties with your post. Mark has pointed these out, but I’ll do so with different words. First, your post is vague about the nature of Christ’s present reign, that is, in what capacity He is presently reigning. Second, the post appears to assume that the allusion to Psalm 110:1 indicates a present fulfillment of the entire Psalm. 1. About the nature of Christ’s present reign. If we grant that Jesus is reigning presently in some sense, it is not necessary for us to conclude that he is reigning in his capacity as Davidic Messiah / Davidic King. One person may have a reigning function in different capacities over different realms and subjects at different times. In the least, it seems evident that if His enemies are presently not under His feet, then He is not reigning over them and there must be another, future, sense that he will reign once His enemies are subdued. As to the sense in which Jesus is reigning now, a distinction is often noted between the universal reign of God on the one hand, namely His sovereignty over all things, and on the other hand our Lord’s specific reign over His Messianic, earthly kingdom. I distinguish these two reigns with texts like Psalm 103:19 for the first and Matthew 25:31 for the second. We could all agree that Christ is reigning somehow now, but just how do you explain His reign? Your use of Jewish Messianic terminology suggests that Christ is reigning in his Davidic capacity, but His present session doesn’t have much of a Jewish flavor to it. To expand on that last point, I do not believe that Jesus is reigning presently over His “received” messianic kingdom. One reason that I believe that way has to do with the substance of the parable in Luke 19:11 which indicates a long delay between the departure of the king and His return. In other words, the kingdom of God was not going to appear right away. Notwithstanding a few problem texts, very many NT texts make it clear that we are waiting for the coming of this kingdom. Not the least among these texts is Matthew 6:10. A present reign but from a faraway place does not match this expectation of an actual kingdom that will be near. 2. About the use of Psalm 110:1 in 1 Corinthians 15:25. I am guilty as charged in that I believe that “what Paul says here wouldn’t require us to say Jesus is reigning [in the Davidic sense] now.” But I would be guilty on grounds other than the reasons you mention in the second paragraph. There seems to be two parts of the Psalm, which are not fulfilled at the same time. The text of Psalm 110:1 says that the Messiah will “sit” until His enemies are made His footstool. “Sitting” and “reigning” are not precisely the same thing. In fact, the word “sit” seems to have a nuance of “wait” built into it. The Messiah is “waiting” until His enemies are dispatched. Sitting on the right hand of God is indeed a place of honor, but it need not be equated to an active reign over the house of David, particularly when the nation of Israel is in almost complete eclipse in the present age. Once the “sitting” phase is done and enemies subdued, the rod of His strength will be sent out of Zion and He will rule in the midst of His enemies, and so forth (110:2ff). The reigning part of Psalm 110 is thus after the sitting part. The setting of 1 Corinthians 15:25 is eschatological. It does not provide clear proof of a present reign of Christ. It does fit a ‘delayed=future fulfillment’ where the Lord sits during the delay and reigns afterward, first sitting at the right hand of the Power (Matthew 26:64) and then being given His kingdom (Daniel 7:13). All enemies will be placed underfoot, but not until far into the eschaton and just before the eternal state begins. So, I would be interested to read how you might flesh out the present nature of his reign, particularly as to is /Davidic/ quality, as well as give some explanation as to how you can see Psalm 110 being fulfilled all together at the present. At this point, your conclusions seem to be in harmony with the progressive dispensational position with its already/not yet motif regarding our Lord’s messianic reign. Do this blog’s readers do well to conclude that you are teaching a progressive dispensational position to your students? Matt, In what sense did David understand what he wrote? What I mean is this, was there any thought in David’s mind that this was a partial fulfillment of the promise made to him in 2 Samuel 7? Why can’t there be a two stage aspect to this? Matt: Great questions. Thank you. Let me see if I can summarize and then briefly respond to your questions. Does that help? Feel free to push back here or there. But, I’ll warn you, the news cycle on this one has nearly passed, as far as I’m concerned. So, I may not get around to it until a bit later. Jared, why do you state that 1 Corinthians 15:25 is referring to Psalm 110:1a? My plain reading and interpretation is that the “he must reign until he has put all his enemies under his feet” is referring to his reign which starts at the end of the tribulation period (Rev 19:6) and continues until the end of the millenial kingdom period. 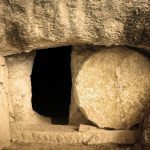 After the millenium, death is destroyed (rev 20:14 – 21:4). Although the Father is putting all of Christ’enemies under his feet, Christ is active and not passive in accomplishing this. Mark, that was part of the burden of my initial piece, which generated all these comments. I’d suggest you start with the evidence I adduce there. If you’ve got further questions once you’ve interact with what I’ve already written, feel free to post them here or, better, send me an email offline. I’ll probably let this conversation die for the time being. If I’m hearing Mark correctly (and I accept his argument), the point is not that Paul is making no allusion or analogical appeal at all to Psalm 110 language. Instead, the argument is that Paul’s appeal to Psalm 110 is not an direct prophecy/fulfillment kind of appeal. Exegetically, an analogical appeal is attractive because Paul is expressly describing a post-parousia event while David (at least in Ps 110:1) is definitely not. IOW, there are clearly points of comparison/analogy being made between 1 Cor 15 and Ps 110:1, but to extend this analogy to demand identity seems to argue more than the text can credibly sustain. This is why the analogy of Scripture (i.e., texts like the ones Paul and Matt raised) becomes so important here. These texts offer us substantial reasons to say, “Whatever David and Paul were saying, it can’t be X in view of these other texts.” Solving the problem of the use of Psalm 110:1 in 1 Cor 15 cannot be completed by looking strictly at these two texts. It’s not an isolated question. 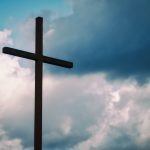 Mount Calvary Baptist Church (Greenville, SC) posted a sermon by Pastor Mark Minnick today (March 2) that might interest those considering this topic. His title, “Our Lord’s Present Reign – Psalm 110:1.” Does he read this blog? I listened to Dr. Minnick’s message tonight and did not find it convincing at all. Yes, Christ is Lord and he sovereignly reigns in the present over his creation. However, he is not presently reigning from David’s throne. Again, I believe his Davidic reign begins at the end of the tribulation (Revelation 19:6). I know Dr. Minnick’s a godly man and probably a far better Christian than I, but a dispensationalist he is not. He would do far better to use a literal, normal, plain hermeneutic when drawing such dogmatic conclusions. If I understand him correctly, his conclusion was that Christ presently reigns from David’s throne and his application is that a Christian (such as myself)cannot reach my “Christian potential” if I do not draw the same conclusion. Did I understand him correctly (I may not have because I’m very tired)? Mark, I agree with you, but did not feel any basic disagreement with Minnick’s sermon. I found Mark Snoeberger’s last comment to be helpful in understanding how to characterize Christ’s present position. I hope Jared and/or Mark will deal further with this topic in future posts.